Please save your Box Tops for Education and send them to school with your child. General Mills will donate up to $20,000 to our school! 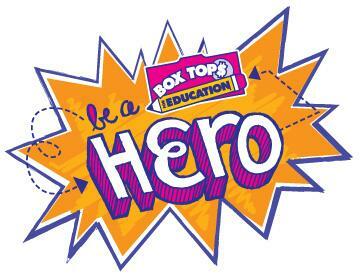 This year the classroom that brings in the best average of box tops per student will get the honor of having their teacher named Box Top Hero and get a prize (to be determined)! Last year's winners: Mrs. Montoya's and Mrs. Zobay's classes! On the website they also have the option to print out more collection sheets, or you can just send them in to school in a ziplock bag.